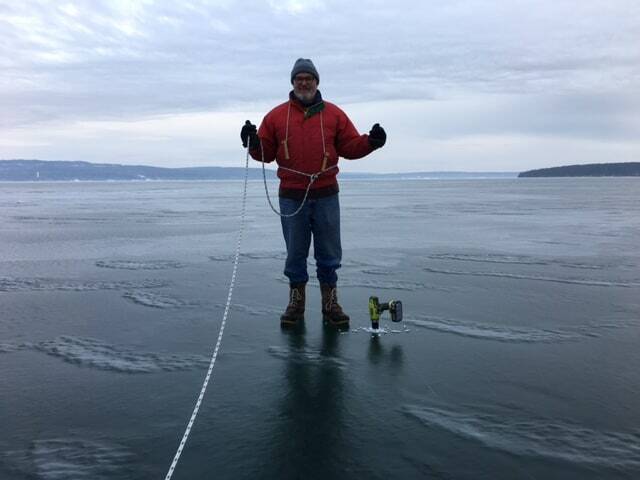 Tom Meyer, US602 on a newly scouted sheet of ice this morning near Red Cliff, Wisconsin. The regatta will be held in Wisconsin between Madison and Lake Superior, Red Cliff. We are waiting one final ice scouting will make a final decision at 7 PM CST. Mike Miller and Tom Meyer have found a newer sheet of clear, snow free black ice near Red Cliff, WI. Thank you for your patience. All DN North American Rear Commodores and numbers of ice scouts have been trying their best to find ice for this regatta. Registration will begin Sunday afternoon, January 22. Anticipated first day of racing is Monday, January 23. *If you will be stopping in Madison on your way to the regatta, the Clarion Hotel has extended a discount to ice sailors.